The roof of the home is really the back bone of the home, and when there is a problem or a leak in the roof it really can negatively affect the entire home. Roofing projects can be very big jobs, and it is imperative that the company that is installing, replacing or repairing the roof are professionals that will do a job that is efficient and complete. 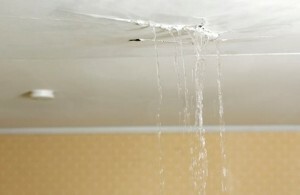 If a roof is not well repaired or installed there is a lot of property damage that could happen to the items inside of a person’s home or business and it could cause a person a lot of heartache. It is very important that all homeowners and business owners make sure that they have hired a reliable roofing company that will be able to not only install a safe and long-lasting roof, but also a company that can come out and fix any problems that they may have from a previous installation of a roof from a different company. There are many different companies that are around that service the Palo Alto, Menlo Park and Sunnyvale areas in California. The main differences between all of those different roofing companies is experience, reliability and quality. When a home owner or a business owner goes to Sheltonroof.com they can see the different testimonials of the different clients that have used their services and from that alone they will be able to notice a difference in the satisfaction of those that have trusted their homes or businesses to Shelton roofing. Shelton roofing company has been in business of installing, repairing and replacing roofs for the last 70 years. They are a very trusted roofing company in the San Francisco Peninsula and they specialize in roof repairs and replacements for schools, universities, hospitals, office buildings, industrial sites, apartments, and much more. The roofing that is done by Shelton roofers is without comparisons. When it comes to quality, reliability and speed there is no other company that does a job quite as well as Shelton roofers. Only our Shelton roofers an accredited Better Business Bureau company, and they offer all of their clients a 5 to 10 year guarantee for their roofs depending on what material is used. They know that the service that they give is top notch and that is why they put so much confidence in the work that they do. Shelton roofing has been trusted to do many important projects in the San Francisco peninsula such as the Stanford University, the Palo Alto and Los Altos school districts, and the Carlmont Shopping Center in San Carlos. It is obvious by the trust that their clients have put in them that their service and reliability is without compare. If a person is a business owner or a homeowner, they know the importance of having not only a good roof, but also of having a good trusted roofing company that can go out and do repairs. For those residents that live in the San Francisco Peninsula there is no better roofing company that Shelton roofing.